Only 10 Premier models left in stock! 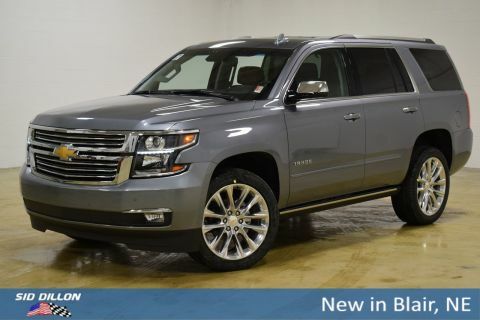 Tried-and-true, this 2019 Chevrolet Tahoe Premier lets you cart everyone and everything you need. Tire Pressure Monitor System air pressure sensors in each tire with pressure display in Driver Information Center, includes Tire Fill Alert., Theft deterrent, content, electrical, unauthorized entry, Teen Driver a configurable feature that lets you activate customizable vehicle settings associated with a key fob, to encourage safe driving behavior. It can limit certain vehicle features, and it prevents certain safety systems from being turned off. An in-vehicle report card gives you information on driving habits and helps you to continue to coach your new driver, StabiliTrak, stability control system with brake assist, includes Traction Control, Safety Alert Seat. 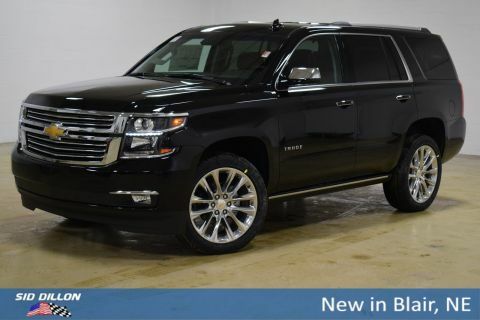 Rear Vision Camera, Rear Cross Traffic Alert, Passenger Sensing System sensor indicator inflatable restraint, front passenger/child presence detector, OnStar and Chevrolet connected services capable (Fleet orders receive a 3-month trial. Visit onstar.com for coverage map, details and system limitations. Services vary by model. ), Low Speed Forward Automatic Braking (Replaced with (UGN) Forward Automatic Braking when (Y66) Adaptive Cruise Control - Advanced is ordered. ), LATCH system (Lower Anchors and Top tethers for Children), for child safety seats; lower anchors and top tethers located in all second row seating positions, top tethers located in third row seating positions, Lane Keep Assist with Lane Departure Warning, Lane Change Alert with Side Blind Zone Alert, Front and Rear Park Assist, Forward Collision Alert, Door locks, rear child security, Daytime Running Lamps, with automatic exterior lamp control, Brakes, 4-wheel antilock, 4-wheel disc, VAC power with Brake Assist, Airbags, frontal and side-impact for driver and front passenger driver inboard seat-mounted side-impact and head-curtain for all rows in outboard seating positions (Always use seat belts and child restraints. Children are safer when properly secured in a rear seat in the appropriate child restraint. See the Owner's Manual for more information.). Wireless charging, Wipers, front intermittent, RainSense, Wiper, rear intermittent with washer, Windows, power, with Express-Down and Express-Up on front doors and lock out features, Wheels, 20 x 9 (50.8 cm x 22.9 cm) polished-aluminum, Wheel, full-size spare, 17 (43.2 cm) steel, Warning tones headlamp on, key-in-ignition, driver and right-front passenger seat belt unfasten and turn signal on. 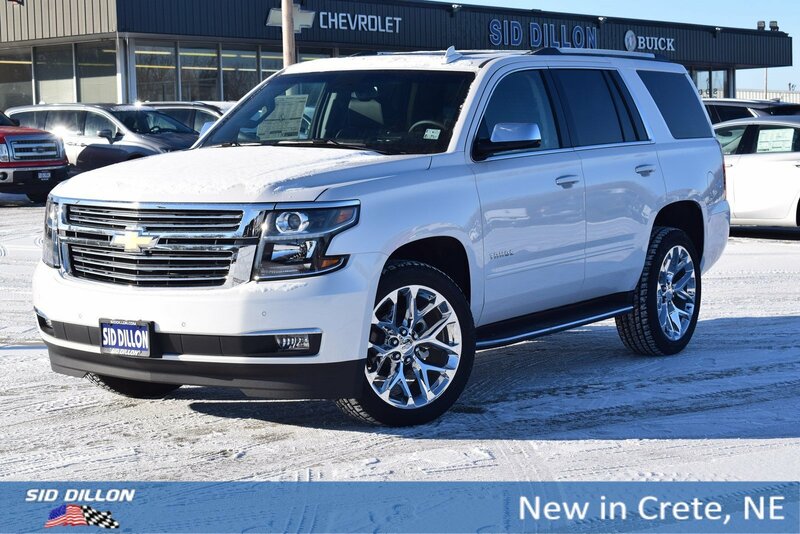 Come in for a quick visit at Sid Dillon Crete, 2455 Hwy 33, Crete, NE 68333 to claim your Chevrolet Tahoe!